Here I am sitting on an airplane on my way to Maine, feeling like the luckiest girl in the world. I didn’t know where my car was… but that was out of my control. That morning there was a notice on my door telling me that I had to move my car by 9 AM the next day for garage floor painting. Actually, I probably should have already gotten rid of my car by now. I keep meaning to donate it to NPR, but I keep procrastinating. It is hard to fully commit to getting rid of it because, despite its condition, it is a luxury to have a car and it is hard to give up that luxury. Without skipping a beat, I left my car keys under the seat, rushed back upstairs, ordered my Uber and headed out, all while focusing on figuring out a solution. There was no way I was going to miss my flight over this. Who could I call? Who could I text? Who could help me? Subject: help! need to move my car and it is dead and am omw to airport! I called her and explained where my car was, that the keys were in it, how to use the pliers on the floor next to the driver's seat to pull the latch that opens the hood... The handle had broken off long ago. She was SO NICE and KIND. At the airport my plan was to hand out flyers to promote my book. What better place to tell people the perfect airplane read is available right at the tap of their fingers?? Let me tell you, approaching strangers this way is very intimidating! But, what else can you do when you know you are sitting on a bestseller that no one knows about because you are not famous? Encouragingly, she was so friendly and she and her friend both took flyers. OMGGGGGGG CAN YOU EVEN IMAGINE HOW AMAZING THAT WAS TO HEAR?!!? Of COURSE I had some with me!! They each bought a copy right there on the spot. 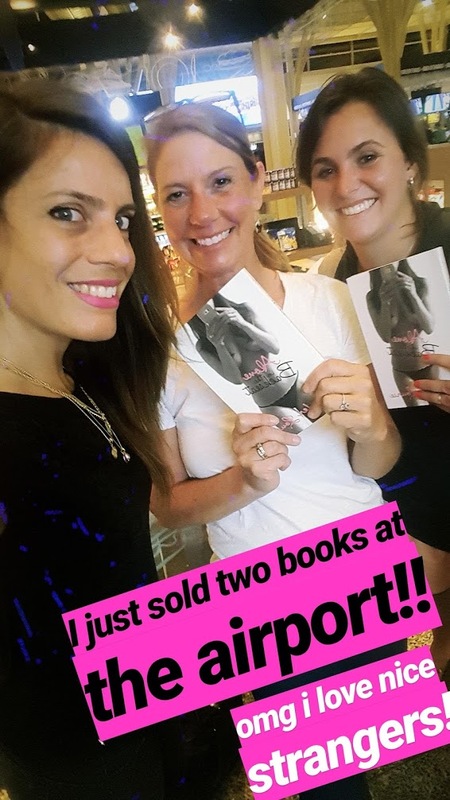 It was so cool - not just because they bought my book, but also because they were so nice, giving me confidence to keep approaching people! Again, without skipping a beat and with very limited time as my flight was about to board, I called AAA. "Um, can you please tow my car somewhere where I never have to take it back?" "Can you tow it from one level of my garage to another?" "No. We have to tow it to a shop." Ugh, I really did not want to spend money to get my car fixed. Why did I procrastinate donating it?? Oh well, what other choice did I have? I finished coordinating with AAA ("Sorry, please can you hurry up? My plane is boarding!") and then quickly texted my neighbor to let her know to meet them and then was one of the last people to board the plane. Oh lordy. I felt like I was in a suspense action movie! I couldn't wait to land to find out how the story was going to end! 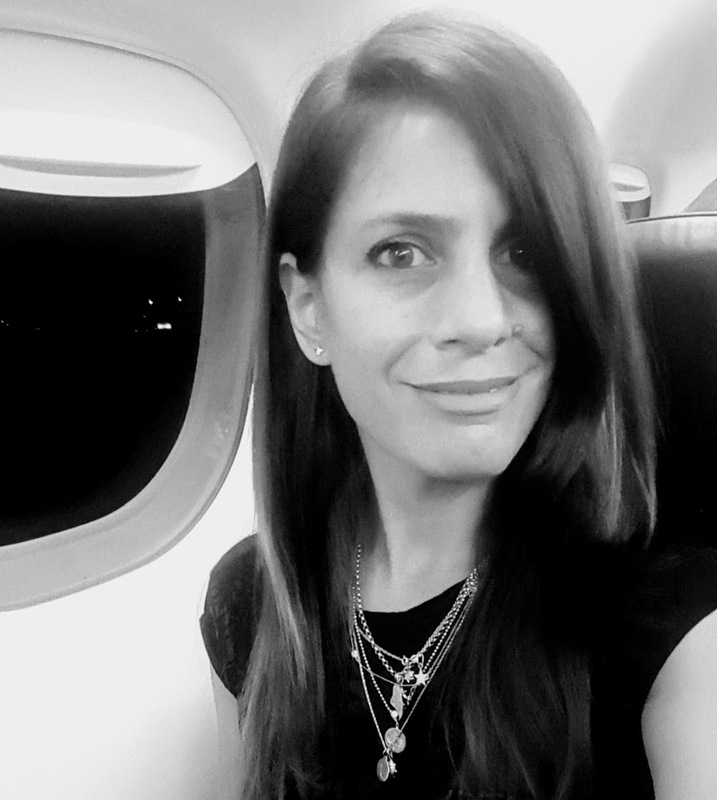 Despite all this, after takeoff, as I looked out the window at the city lights below, I had a smile on my face and felt like the luckiest girl in the world. I was on a plane - how many people never get to do that? I was seeing a view the majority of people in the world never get to experience. I was going to Maine to see my parents. I have the parents I have! Three neighbors had responded offering to help me. I had been brave to approach strangers with flyers in the airport. Two strangers bought my book. I had the self satisfaction of thinking, "My life is awesome because I make my life awesome." Everything had been taken care of - AAA had come and gotten the car started and my kind neighbor had moved it to where it needed to be. I don’t think we should stress over things we can’t control, do you? Stressing would have been such a waste of energy, especially since everything worked out. I don't like being wasteful. I like being solutions oriented. What do I stress over? Which flavor ice cream to order. My advice though? Just make sure you always have a charged external phone battery when you travel. Because if not, THEN you are screwed. 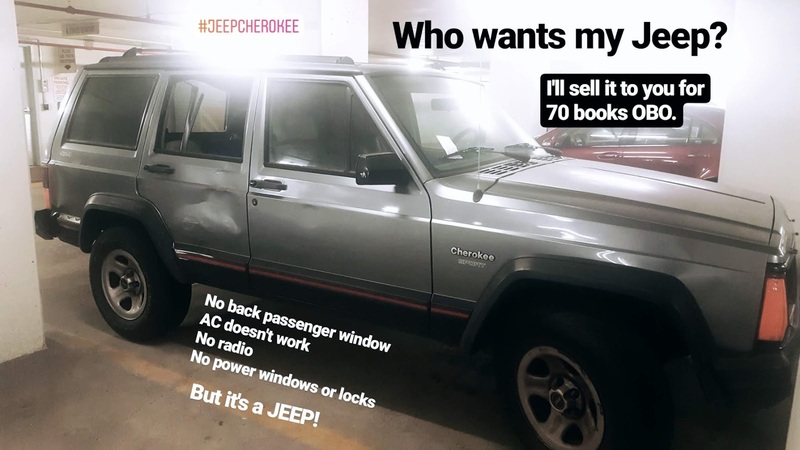 Now, does anyone want a Jeep Cherokee? You can have it!